Amy Cox is a singer-songwriter, storyteller, and worship leader from Virginia with a deep passion for God, people, and stories. With music that grasps the ache of the soul, Amy writes from her own personal journey, interweaving stories, prayers, and scripture with simple, beautiful melodies. 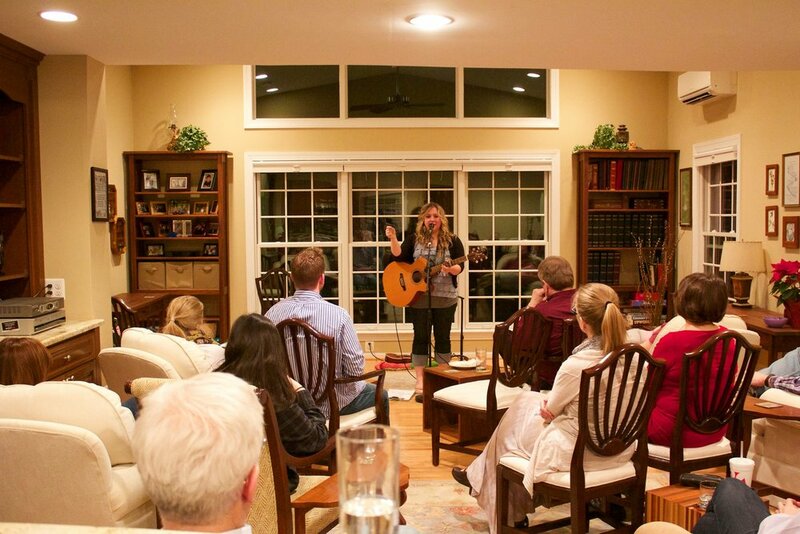 A modern-day vagabond, Amy finds her travels by way of friends’ living rooms, playing intimate house concerts across the country. Stories told with humor and vulnerability speak into the joy of the human spirit and the pain of loss, while songs interwoven with prayers, experiences, and scripture challenge the heart and soothe the soul. Slip your shoes off and settle in. Be encouraged. Be inspired. Amy’s latest release, Desert Bones, was written after her first trip to the US/Mexican Border in 2014. After spending a week in Tucson learning about immigration, Amy’s heart was broken to learn about undocumented border crosser deaths. Over 3,000 people have died in the Arizona desert in the last seventeen years. In 2016, Amy made her way back to Arizona with camera in hand and spent time capturing footage from Mexico and Arizona. That footage became the music video for Desert Bones. Her full-length album (released May 2014), Coming Home to You, is a collection of original songs that speak to the beauty of life and the faithfulness of God. Written from her time spent in the wild west of Colorado to the flat lands of the Midwest, Amy shares of the ache for home, love for family and the pursuit of the Holy. The songs interwoven with prayers, experiences, and scripture challenge the heart and soothe the soul.